The Financial Arrangements original form helps you avoid problems with payments. It is especially useful if you are allowing your patient to pay in installments. 100 forms per tablet. 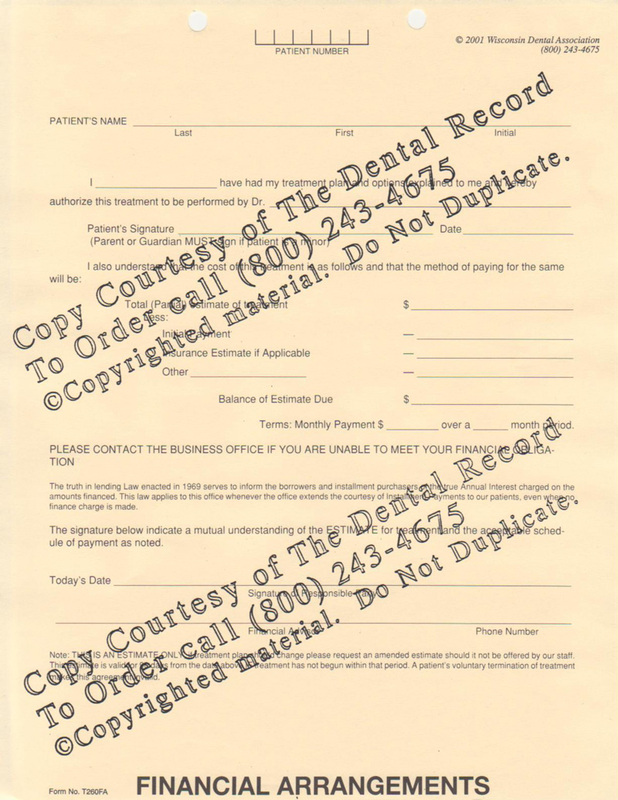 This form is useful for patients who are paying in installments. The form includes an authorization of payment, and an explanation of financial responsibility. It is important to note that this is not a legally binding form. It does not conform to state or federal lending laws.